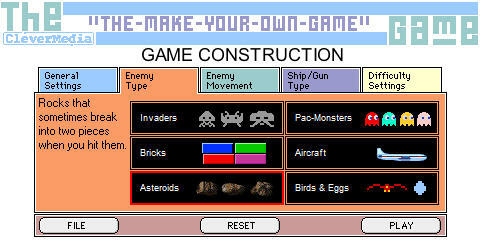 Over at GameScene.com they have a “Make Your Own Game” tool built in Shockwave that lets you mash up a few different types of games. It gives you 5 tabs where you can customize your game including the name, the type of enemy you would like your game to have, how you want the enemy to move, what you want your player to look like, and lastly how hard the game should be. There is no option to customize the graphics with your own artwork. With only the few options that it does provide for gameplay it allows you to make a surprisingly wide range of different games. One drawback to it is that it is such a small window in order to edit and play your game in. But you edit your game on the tabs and then click test and you are instantly playing the game that you just customized. This game creator is actually the origins for the idea to build Pulado (our build your own games engine). 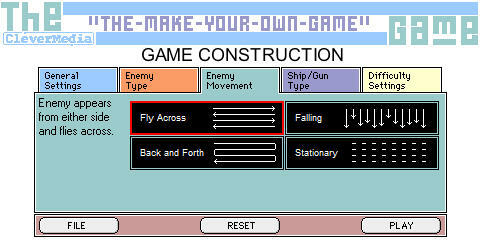 This little Make Your Own Game creator’s strength is in how simple it is to use and how fast you can make a customized game with it. 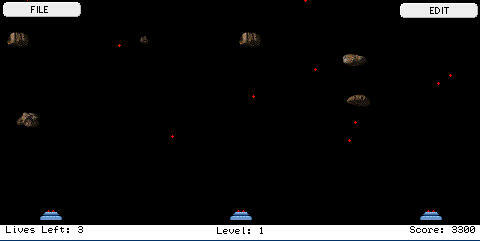 Test out and make your own game with the GameScene “Make Your Own Game” game here. Have fun!